Woody, aka Peter Woodward, throwing some slush around on the Big Burn on a recent day off. Woody, aka Peter Woodward, has given notice that after six seasons on the Aspen Highlands ski patrol, he is leaving to get an MBA from the University of Washington. But wait, you say. Can a person quit the patrol, move away, go to business school and still be a proper ski bum? And Woody has to be given ski bum props for six years of throwing bombs in the Highland Bowl, doesn’t he? Plus, you should know Woody has carved out his ski-bum career in a deliberate fashion. Woody was first on skis at 3 years old, at Smugglers’ Notch in Vermont. Then his family moved to Maine and he grew up bashing bumps at Sugarloaf. He first came to Aspen as a freshman at Boston College and hiked the bowl for the first time. It changed his life. He decided he was going to get on patrol at Highlands, and in Woody-like fashion, he took steps to make it happen. He took avalanche courses. He got his EMT credential after graduation. 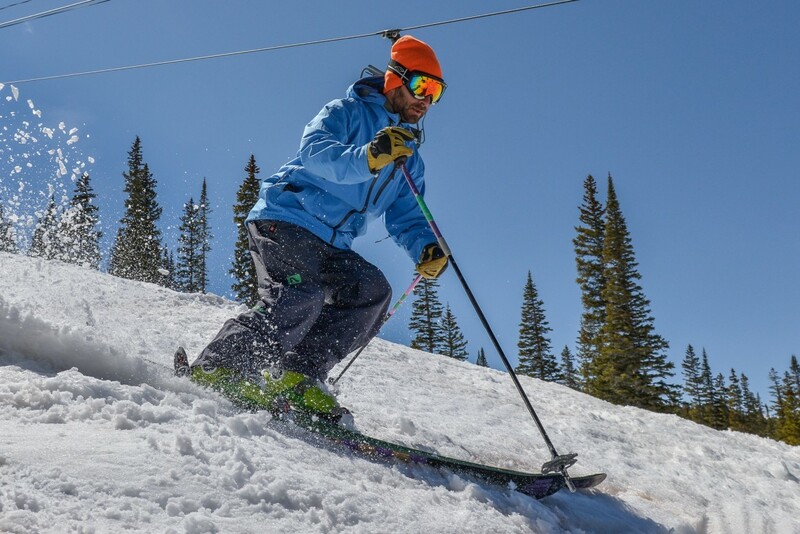 He moved here in the hopes Highlands ski patrol director Mac Smith would hire him. Then he got on the Highlands trail crew and worked on thinning Canopy Cruiser. Six weeks later, he got the nod from Mac. He’d made it. Woody was 22. And six years later, at 28, he’s still the youngest person on the Highlands patrol. At first, Woody’s parents raised an eyebrow at his career choice. But they came to understand what it means to be on the Highlands patrol. Woody has gone all in while on patrol. He’s worked closely with the snow safety team and the avalanche dog team. And he’s climbed the bowl about as many times as you can imagine. Asked about what it’s like to run bombing routes in the bowl, Woody chose his words carefully. And he’s always been appreciative of how locals treat the Highlands patrol. He said it was very hard to tell Mac Smith he was leaving the patrol. “But Mac, being the incredible manager and gentleman that he is, was nothing but supportive,” Woodward said. Woody now has eyes on a management position in the outdoor industry. 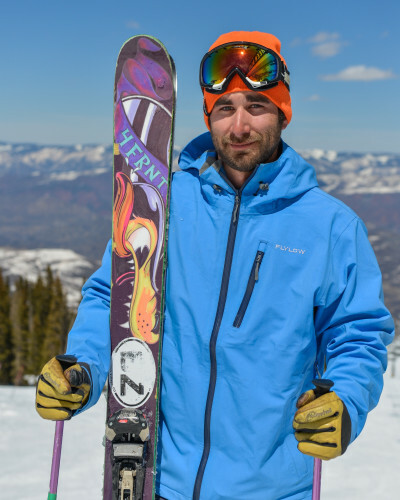 While he’s been in Aspen, he’s also worked at Durrance Sports and Ajax Mountain Sports; he’s been the rep for 4FRNT Skis out of Salt Lake City and Flylow ski gear out of Boulder, and he’s worked as a raft guide and the sales and marketing director for Blazing Adventures. And in true ski bum fashion, he’s chosen the University of Washington’s business school with skiing in mind. There’s a good chance Woody will be back in the valley. Especially with the memories he’s deliberately created. Editor’s note: Aspen Journalism collaborated on this story with the Aspen Daily News, which published a version of it on Saturday, April 12, 2014.